Board Intel® para servidores S1200V3RPM Intel® Server Board S1200V3RPMwith (4) SATA Cables, (1) Intel® Server Deployment & Management DVD, (1) Attention document, and (1) Quick Start User’s Guide. Note: the OEM 10 Pack does not ship with included items. 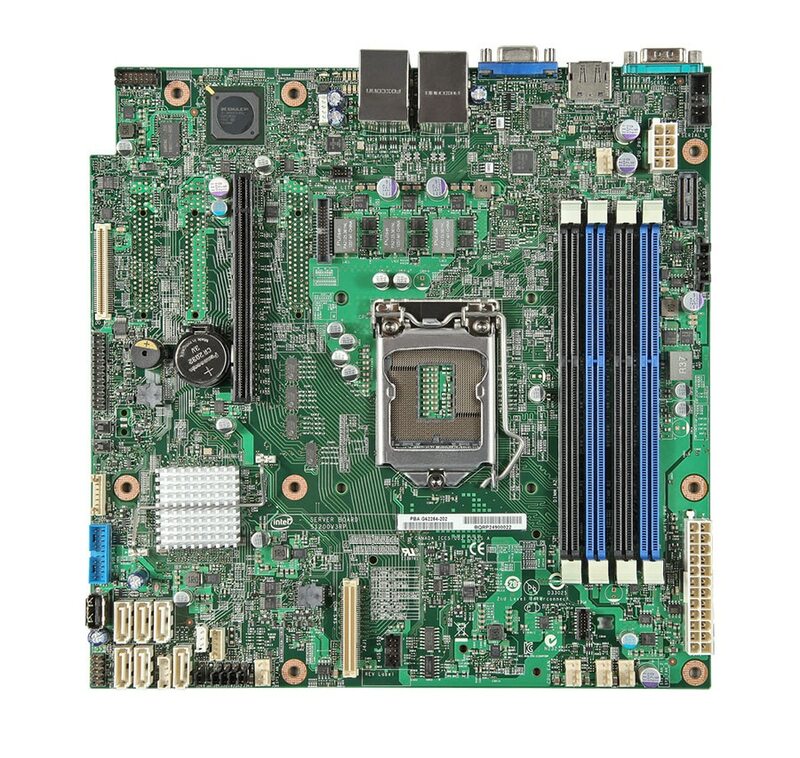 Board Intel® para servidores S1200V3RPM An entry-level one socket board with Intel® C226 chipset, supporting one Intel® Xeon® Processor E3-1200 family, 4 UDIMMs up to 1600MH, dual integrated Intel® Ethernet Controller, I/O expansion & enhanced processor graphics support. Optional Intel® RMM4.